An important health issue to consider is something that will eventually impact each of us – ageing. Ageing has key health connection to brain skills. As people grow older, there is a 'shrinking' of areas of the brain that influence behaviour, such as when it's appropriate to act or speak a certain way. An Australian researcher thinks this could explain why as people grow older, they seem more inclined to make blunt comments or ask questions that could normally be considered socially inappropriate. Depression and compulsive behaviours could also be more likely, all of which represent changes in how older people control how they think and act. In turn, this could lead to the negative, 'anti-social' behaviours that we sometimes see in older adults. Other studies have found that people who are older are more likely to have prejudices compared to younger people. It is thought that this could be due to it being harder to subdue the tendencies to have certain thoughts that younger people find easier to suppress. In fact, it is suggested from research that the more difficulty an older adult has when trying to focus, the higher the likelihood that they will show prejudices to others around them. This lack of focusing isn't the only challenge for older adults. They are also more likely to talk about subjects that have nothing to do with the conversation occurring at present. Researchers think this could be why older adults might start talking about more personal issues in very public environments. 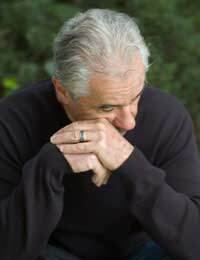 The depression issue becomes an important one again because this loss of brain skills as people age can affect them socially and might put them at a higher risk of depression. One interesting find in this particular study was that 'executive' functioning seemed to be stronger in the early part of the day. This could mean that the health affects on the brain from ageing could be dealt with, in part, simply by scheduling important tasks earlier in the day. In particular, getting these tasks done in the morning could be very helpful for older adults. Another suggestion for improving brain skills in older adults is to consider increasing the amount of cardiovascular exercise. Several studies have shown that the increased blood flow to the brain benefits older people – and people of all ages, in fact. Other studies on caffeine consumption have been mixed, with some suggesting that caffeine can boost brain skills in older adults. However, some of the side effects seen at higher consumption levels mean that care must be taken and it may be safer overall to focus on aerobic exercise as opposed to a stimulant such as caffeine. While you can't completely prevent the changes in your brain functioning and skills as you age, you can still be aware of how your health connects to your mind. Taking small but important steps to preserve your brain skills as best you can throughout the ageing process can make a difference to your social life, moods and overall health and well-being.